The website Nine Girls Ask? welcomes all women who have questions about ovarian cancer — and really, what woman doesn't? Joan Wyllie's nonprofit organization — named for her, her three daughters, and five granddaughters to equal nine — asks simply, "Why is there neither a test nor cure for ovarian cancer?" Good question. In that vein, Nine Girls Ask? is a place for asking questions and getting answers. The organization raises awareness and funds for ovarian cancer research, but most importantly offers one-on-one patient advocacy and hope from beginning of diagnosis to, hopefully, “no evidence of disease." In October 2007, Joan began experiencing gastrointestinal problems, bloating, shortness of breath, and many other symptoms indicative of ovarian cancer. After six months of being misdiagnosed by nine physicians, she says she knew something was wrong. She insisted upon exploratory laparoscopic surgery, which, in February 2008, resulted in the diagnosis of stage 4 ovarian cancer. Twelve days after diagnosis, Joan endured a seven-hour surgery that removed "hundreds of tumors.” She received six rounds of chemotherapy, which resulted in numerous complications and several trips to the emergency room. But there is light here: Joan has had no evidence of disease for the last 10½ years. Ovarian cancer afflicts more than 22,000 women each year and causes more than 14,000 deaths, says the American Cancer Society. Since Joan's experience with ovarian cancer, she has thoroughly educated herself about the disease with the purpose of sharing her knowledge and helping other women. “I did not want one woman to be afraid," she says. Joan and all members of Nine Girls Ask? invite all women with ovarian and gynecological cancers to become involved with this powerful cause. 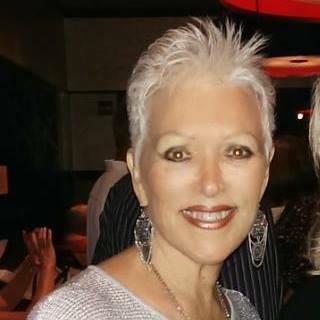 As an ovarian cancer survivor, Joan knows her stuff and shares some of it here with you. Here are her best suggestions, gleaned from experience, about how to deal with the often formidable challenges of ovarian cancer. “When you first receive the news about ovarian cancer, it's OK to shut the door and cry. Go in your bedroom and pound your pillow or cry. Let your emotions flow, so you can transition yourself to fight. 2. Familiarize yourself with integrative medicine. 5. Share and share alike. If you or someone you know wants more information, Joan welcomes anyone who may want to contact her and Nine Girls Ask? directly at 619-708-7891 or ninegirlsask@live.com. Common Pain Relievers and Ovarian Cancer Survival: Is There a Link? Have you ever been diagnosed with ovarian cancer?